Chief Justice of Pakistan Justice Saqib Nisar has expressed intent to take suo-motu notice of insanely priced newly unveiled iPhones namely the iPhone XS and iPhone XS Max and has ordered the users who are upgrading to donate to the Diamer Bhasha dam fund. The Chief Justice was watching live stream of the Apple keynote event in Islamabad on Wednesday when he came with this idea. The iPhone users have expressed disappointment in this development. “Donate my old iPhone instead of making it part of my collection, are you insane?” One iPhone user decried. “Maybe I’ll just get a new $499 iPhone 7 and donate that instead,” said another one. 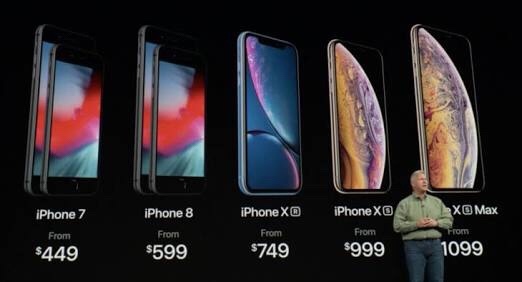 Earlier, Apple unveiled newest iPhone lineup featuring a 5.8 inch OLED display iPhone XS, a 6.5 inch OLED display iPhone XS Max and a 6.1 inch LCD display iPhone XR. The iPhone XS Max with 512 storage costs $1449 which is approximately Rs 200,000 in Pakistan after translated currency and taxes. Disclaimer: if it wasn’t utterly clear, this is a satire!